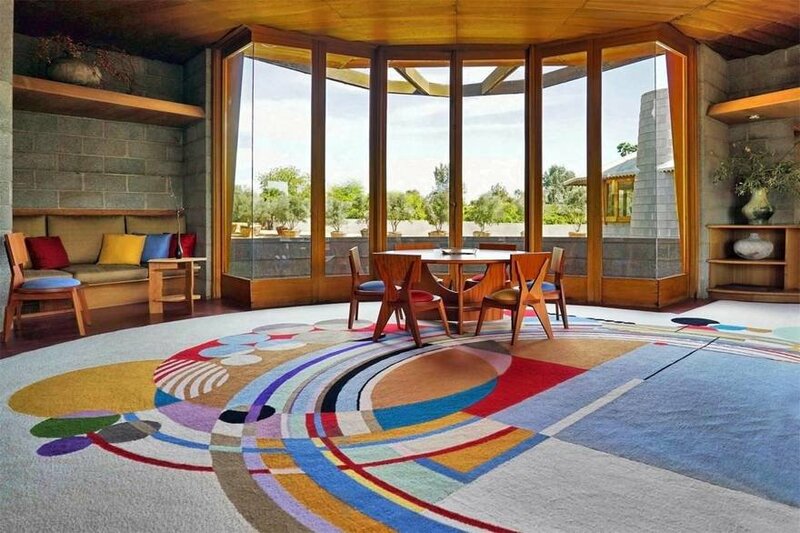 Imagine it's 1950, your dad is Frank Lloyd Wright and you ask him to design a house for you and your wife. 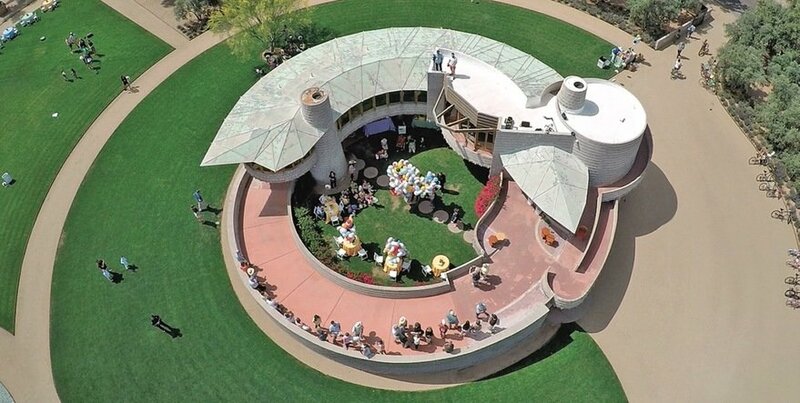 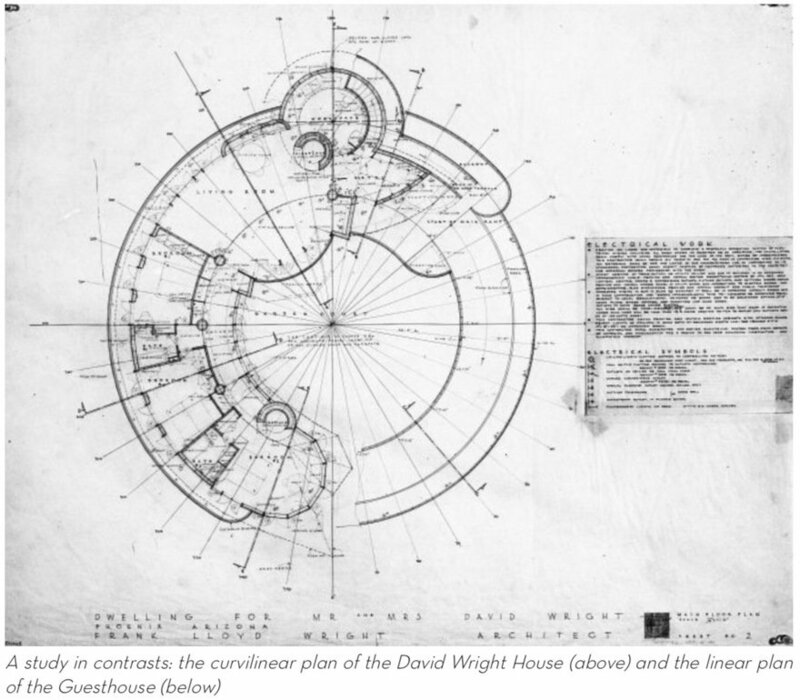 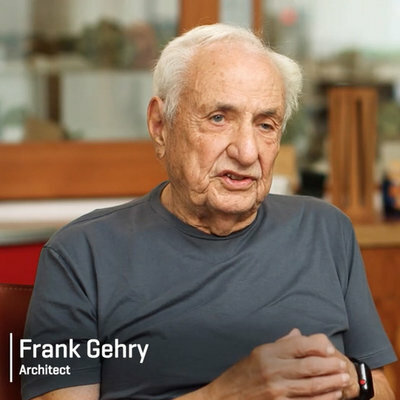 Since you live in Arizona, father Frank designs an elevated house with a crazy spiral shape in order to capture cooling winds; years later he'll borrow from the form factor to create the Guggenheim. 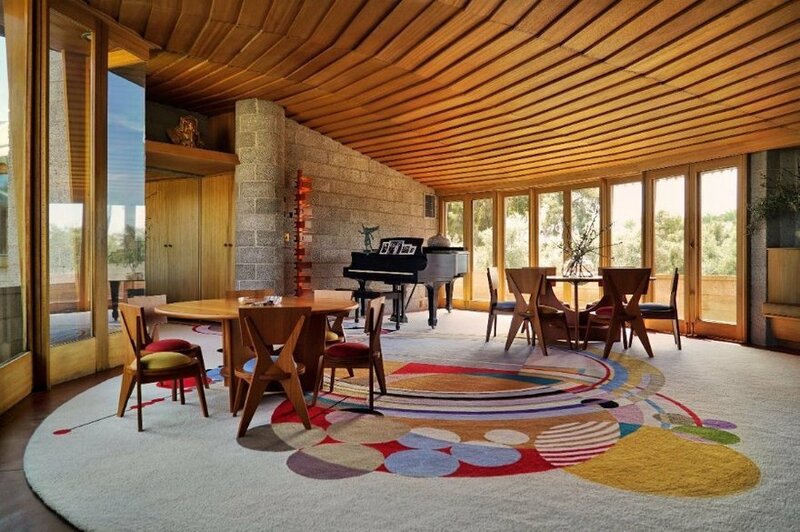 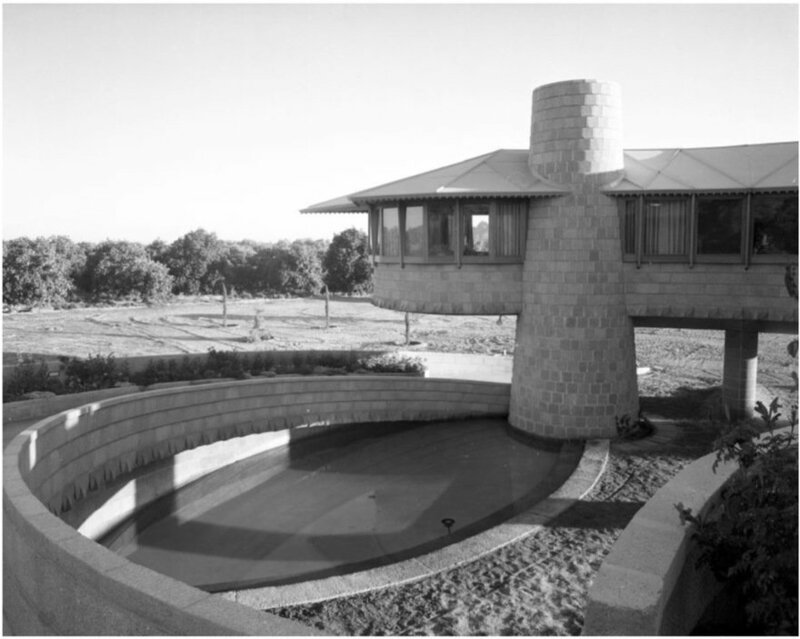 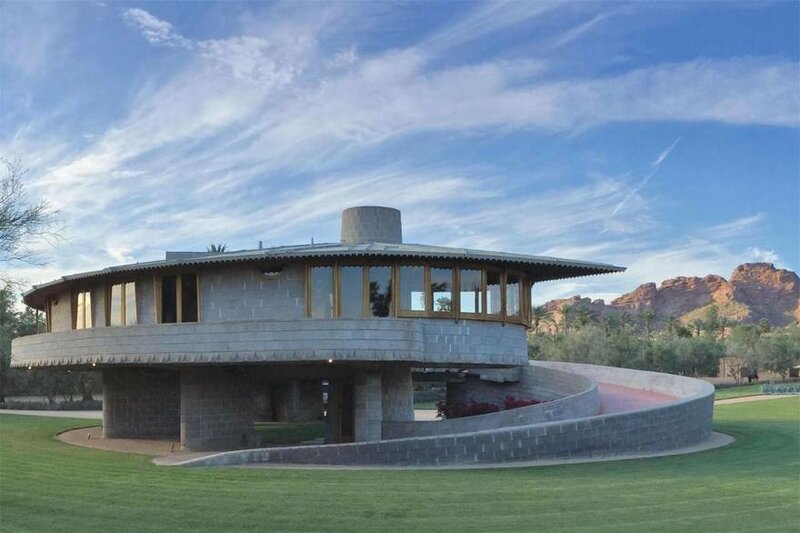 Completed in 1952, the David & Gladys Wright House--which FLW originally and somewhat pretentiously named "How to Live in the Southwest"--is a 2,500-square-foot concrete edifice whose circular shape and spiral ramp antedated the Guggenheim by some seven years. 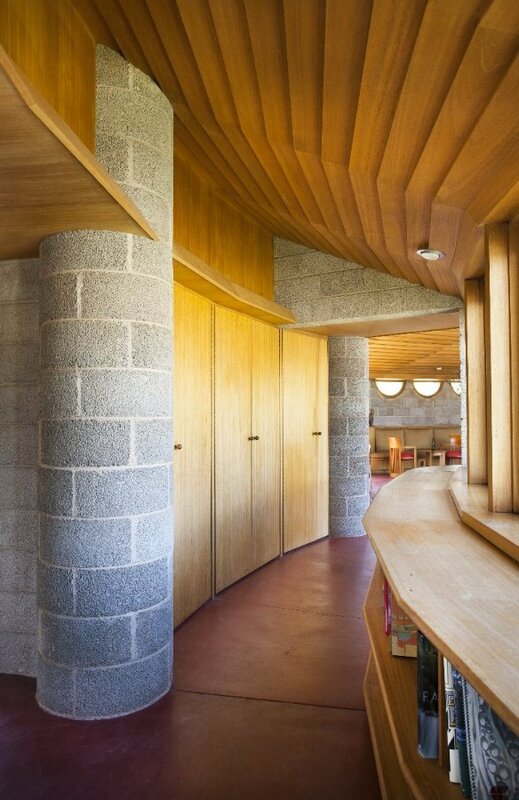 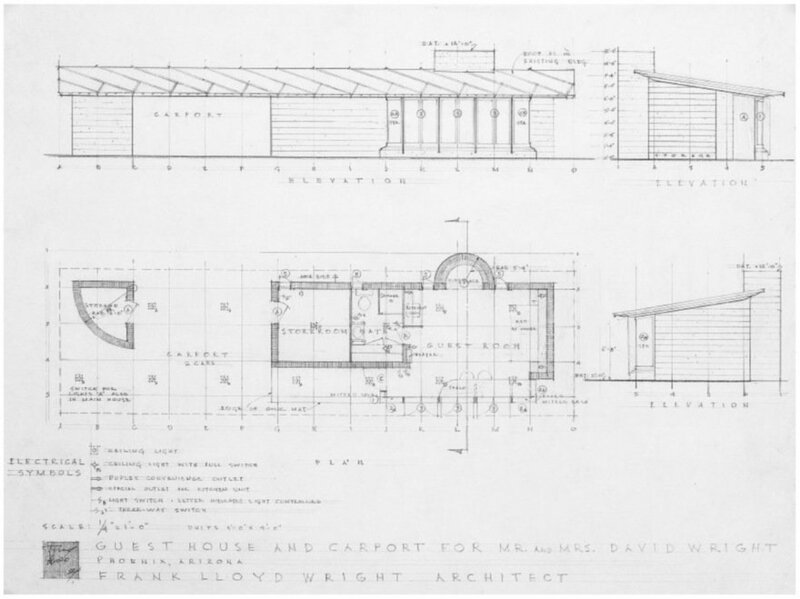 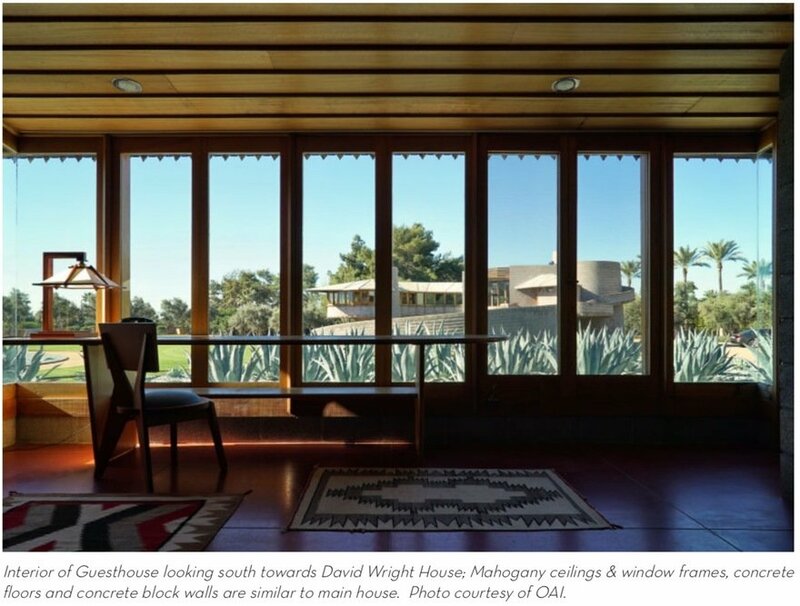 "[I]t is a good type of house for that [Southwest] region and affords many advantages not possible to a house on the ground," Wright wrote of the house. 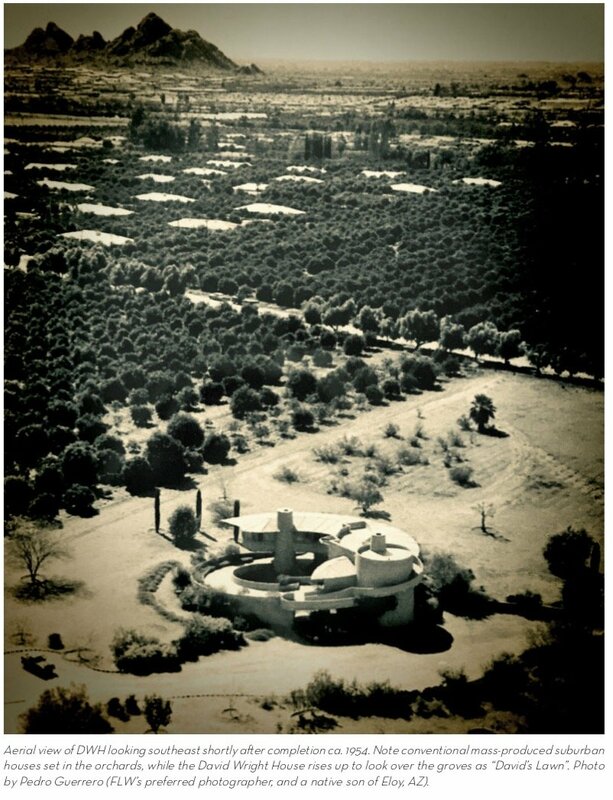 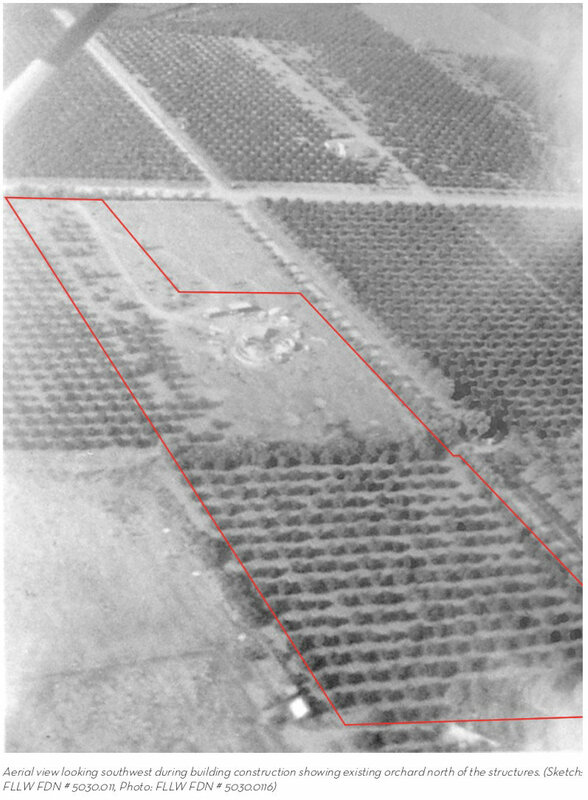 "It is a citrus orchard district and the orange trees make the yard for the house. 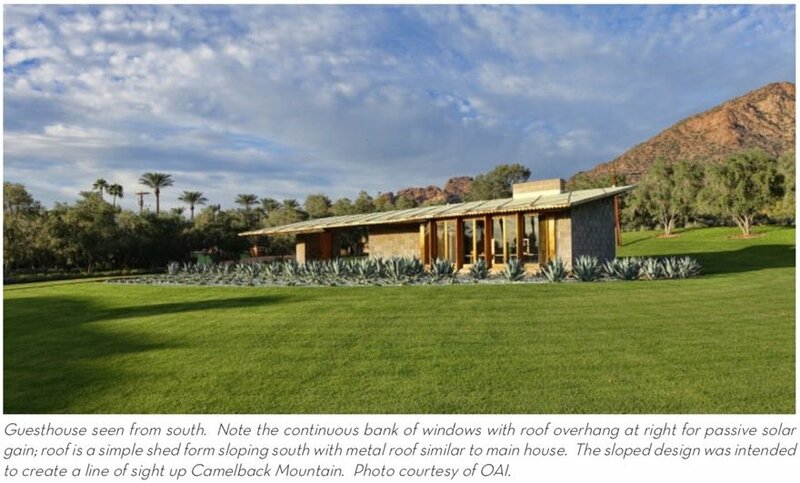 The slowly rising ramp reveals the surrounding mountains and gives security to the occupants." 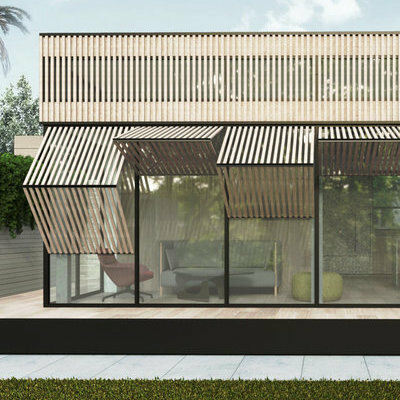 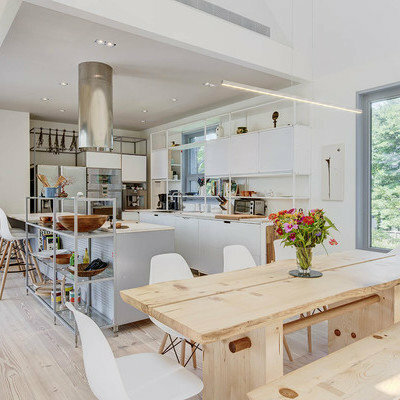 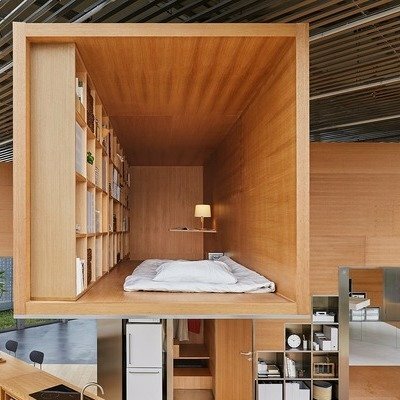 There's also a 360-square-foot guest house of a more simple, rectilinear design. 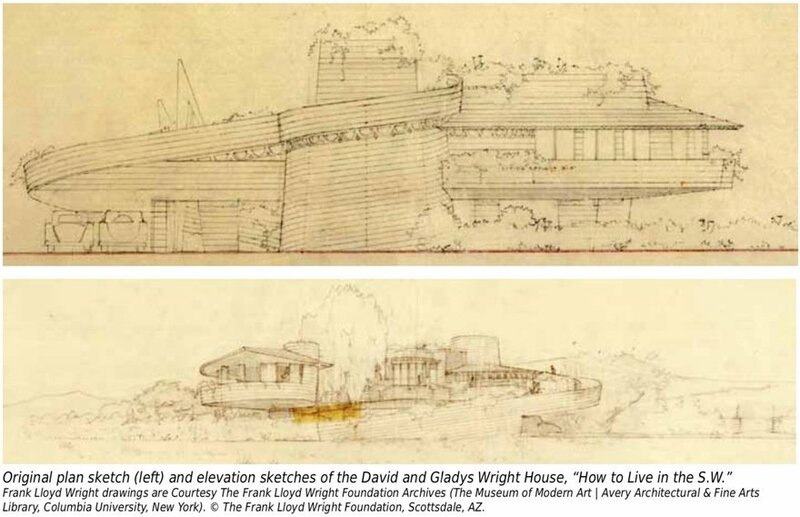 Whether you love the design or hate it, something about it apparently promotes longevity: David Wright lived in the house until his death in 1997 at the age of 102, and Gladys lived there until she died at 104. 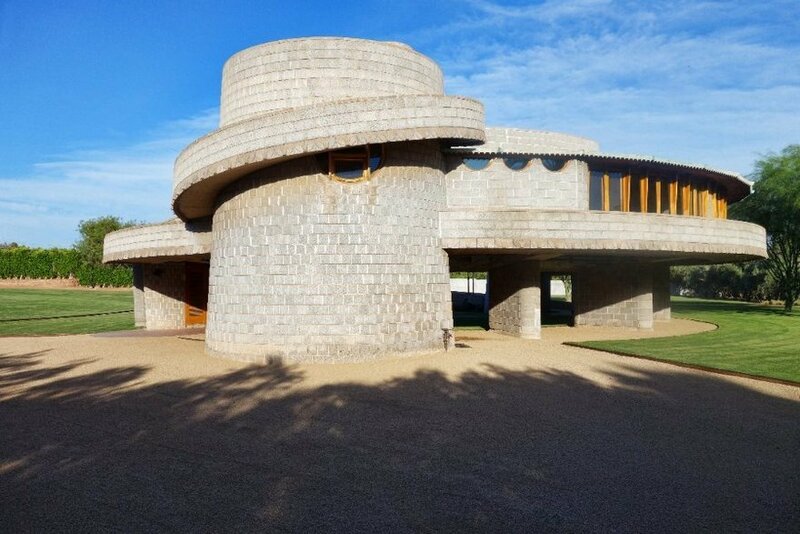 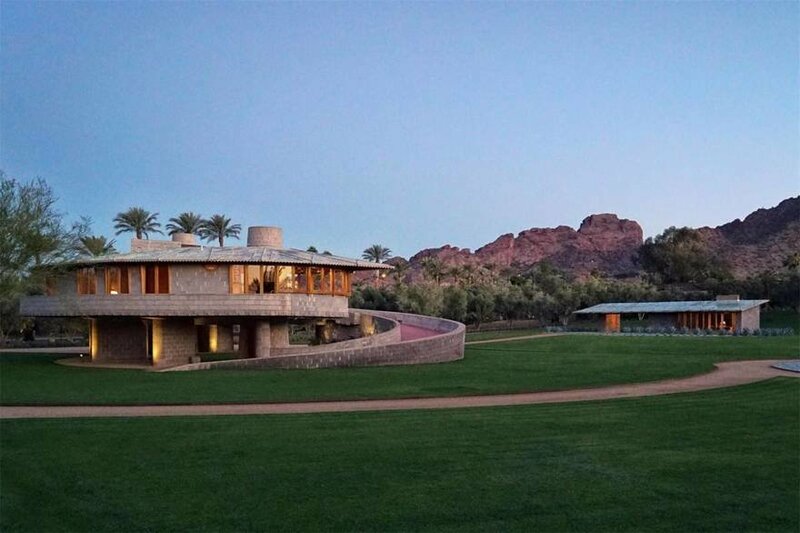 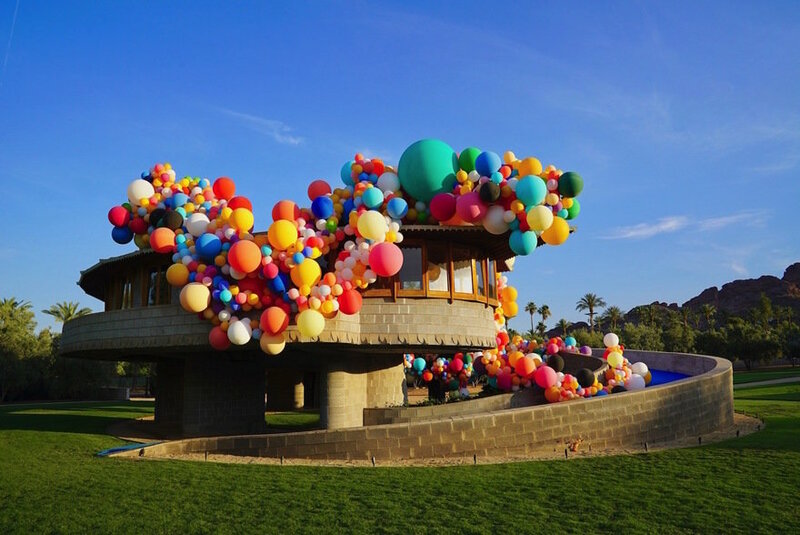 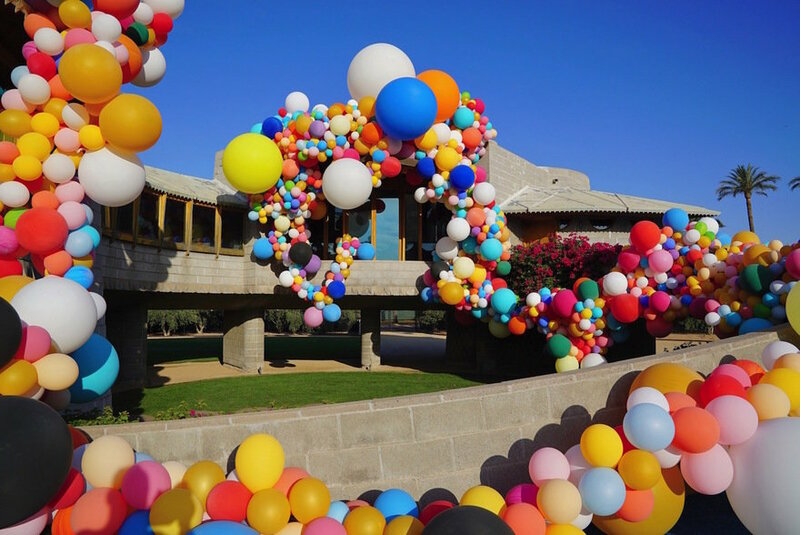 Last year the Frank Lloyd Wright Foundation announced that the home had been donated to benefit the School of Architecture at Taliesin; however, there's apparently been some behind-the-scened drama, as this year the house has inexplicably been placed on the market for $13 million. 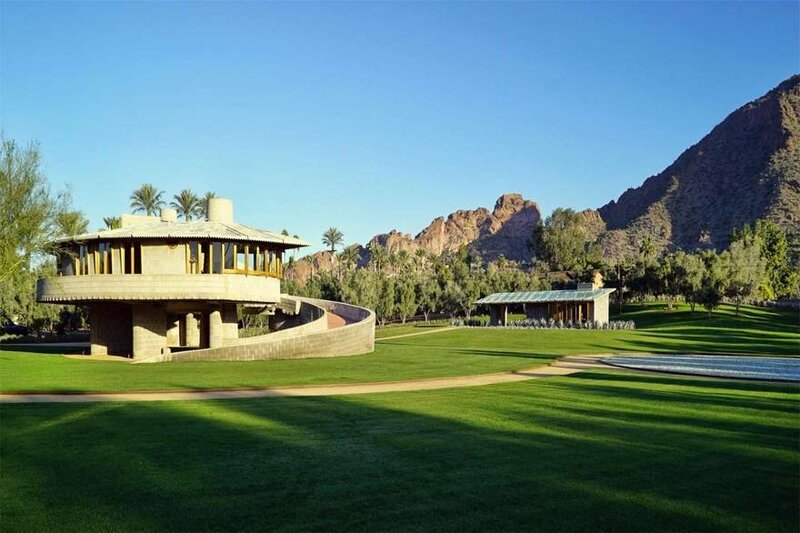 If you've got the money, here's your chance to live into your early 100s.